NEW GAME! Simon's Cat Dash! NEW GAME! Simon's Cat Dash! Simon’s Cat Dash! – an endless runner game adventure. 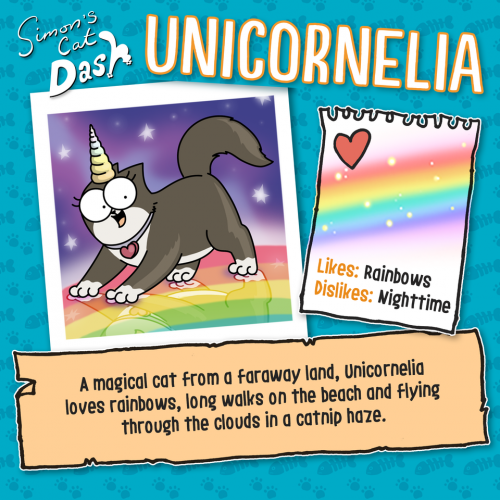 Click to get Simon’s Cat Dash now on Android and iOS. Beautifully hand crafted areas bring the Simon’s Cat universe to life. 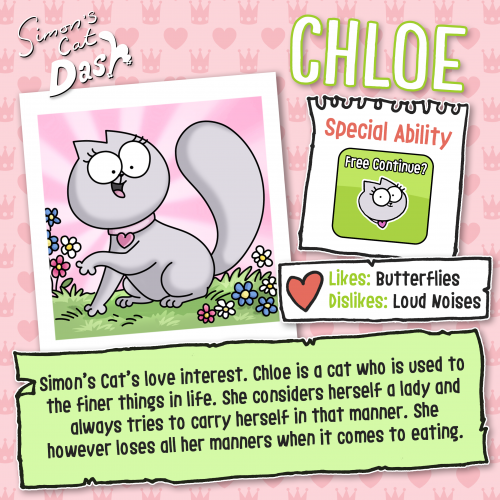 Play as Simon’s Cat, Kitten & Chloe, everyone’s favorite feline friends. Fill your Cat collection! Unlock over 50 exclusive Cats in crazy costumes. Collect Buddies like the Baby Bird, and hilarious trails like the Rainbow to follow your Cat as you run! Complete bonus stages & win big rewards! Play with the hedgehogs, look out for the mice and outrun the dogs, Oscar & Sir Royston. 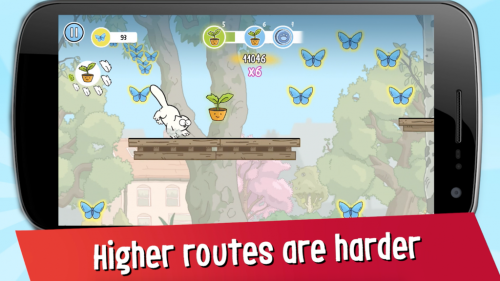 Follow the blue butterfly trails to safely navigate through the levels. They will show you where to jump, dash or slide. You will also collect lots of butterflies, which you can spend on presents in the shop to unlock new trails, buddies and more. Even though higher routes are harder, they are more rewarding and worth the risk! Make sure you catch the Golden butterflies, they are worth 10 times more than the blue ones! A nice boost to your butterfly savings for presents and upgrades. If you want a killer high score, focus on increasing your ‘score multiplier’ by completing missions and upgrading it in the shop. That’s the best way to climb up in the leaderboards and beat your friends. 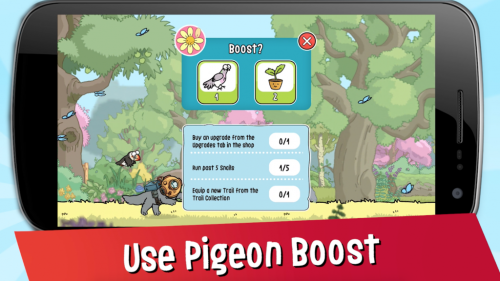 Use the Pigeon boost at the start of a run to get a head start. The pigeon will transport you to more challenging parts of your run and carry you past several milestones, which means more score rewards at the end! Collect as many Catnip plants as possible! 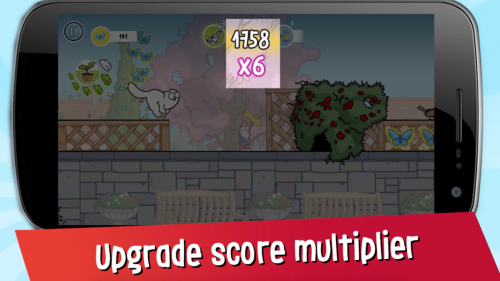 Catnip plants charge up ‘Catnip Mode’ which gives your score multiplier a massive boost while it’s active. Activate Catnip Mode six times and you will run through the special golden butterflies section. Try not to miss any! Get quick, easy help from our in-depth FAQs and our awesome support team HERE!